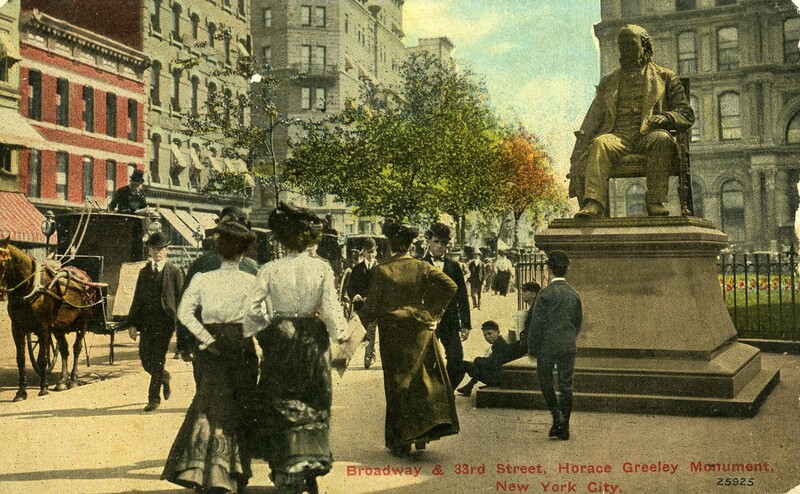 Bryant Park Blog: From the Archives: Horace Greeley Turns 200! From the Archives: Horace Greeley Turns 200! Local historians might be aware that Horace Greeley -- newspaper publisher, abolitionist, and presidential candidate (he lost to Ulysses S. Grant) – turns 200 this Thursday, February 3rd. Greeley is the namesake of Greeley Square Park in the heart of the 34th Street District, a few blocks south of Bryant Park. What's his connection to Bryant Park? 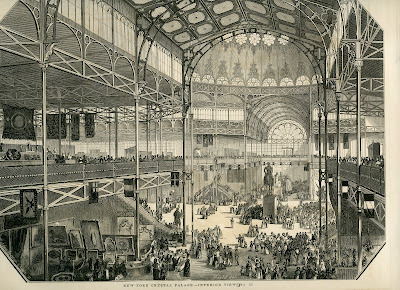 In 1851, while traveling in London, Greeley attended, and was blown away by, the Great Exhibit of 1851, housed in the Crystal Palace at Hyde Park. Amazed by the breadth and content of the work, when he returned to the states, he met with friend, entertainer, and promoter P.T. Barnum and New York City officials to form a committee to bring a similar exhibition to the City. 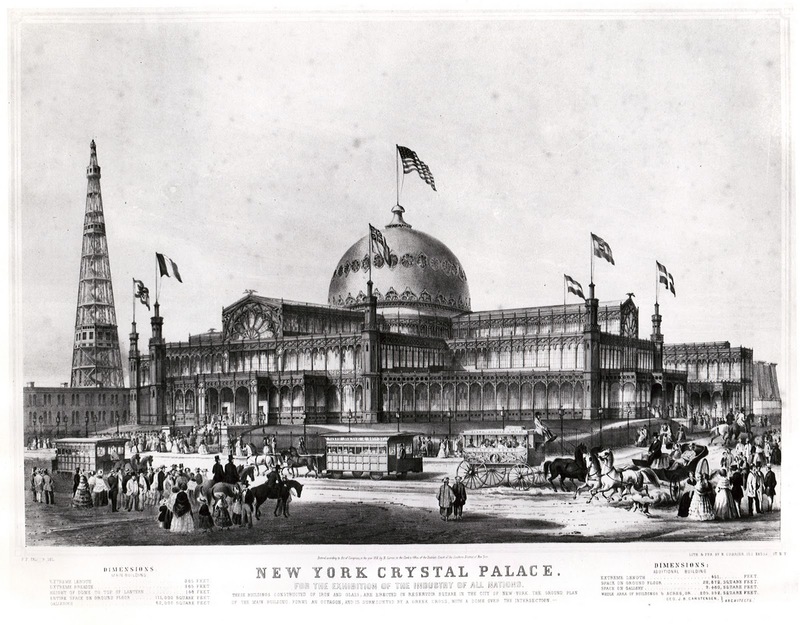 The Crystal Palace, also known as the Exhibition of the Industry of All Nations, was situated next to the Croton Reservoir (now the location of the New York Public Library), where Bryant Park is today. 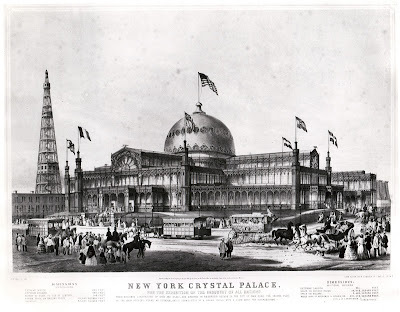 You can read more about the Crystal Palace and the Croton Reservoir, here. To celebrate Greeley's birthday, our sister BID, the 34th Street Partnership, has planned a fun and informative program celebrating his life, with a musical performance from the Horace Greeley High School Madrigal Choir, and a re-dedication of the Horace Greeley monument by NYC Parks Commissioner Adrian Benepe. A number of Horace Greeley’s friends and collaborators will be in attendance, including Edgar Allen Poe, Margaret Fuller, Abraham Lincoln, and Karl Marx, among others – played by members of the Horace Greeley Drama Department – to reminisce Greeley’s numerous accomplishments and contributions to New York journalism. Also in attendance, will be a number of Greeley’s living descendants, introduced by “Horace Greeley” himself. This special celebration begins at 11:00am and is free and open to the public. Hot chocolate will be provided by ’wichcraft.